Len Murrell | The Frame Gallery. For framing, art, sculpture & gifts. Leonard Murrell spent his informative years in Deal on the Kent Coast and developed an affinity with the sea and coastline. He subsequently served fifteen years in the Royal Navy, followed by forty years in the Defence Industry. Largely self-taught, Len took up painting in the early 1990’s and now works exclusively in oils. His preference is to work in the studio using a collection of photographs and sketches accumulated over the years. His paintings focus notably on marine subjects, the theme of the sea, rivers and boats subject matter. 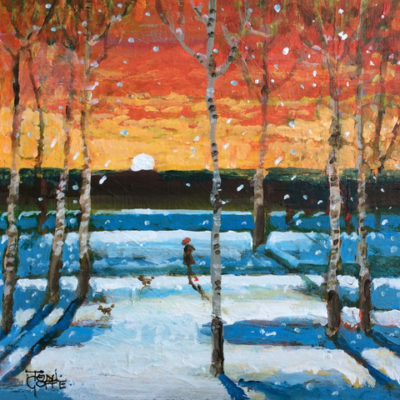 His work can be seen at the The Frame Gallery in Odiham, and he has a one man exhibition annually at the Oxmarket Arts Centre in Chichester as well as working on privately commissioned paintings. 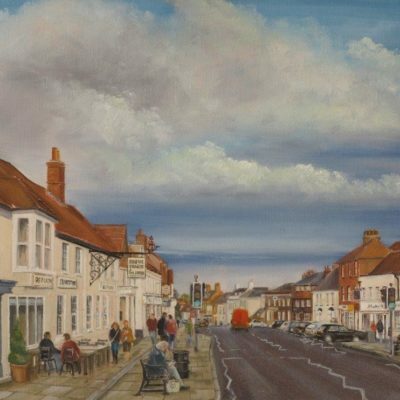 He is a member of the Odiham Art Group in North Hampshire. His inspiration comes from the works of Edward Seago and David Curtis.